Marvel continues to inch its way into the Disneyland Resort as Thor will now have a spot next to Tony Stark’s Hall of Armor, which was built to promote Iron Man 3 a debuted early this summer. To see our write-up click HERE. 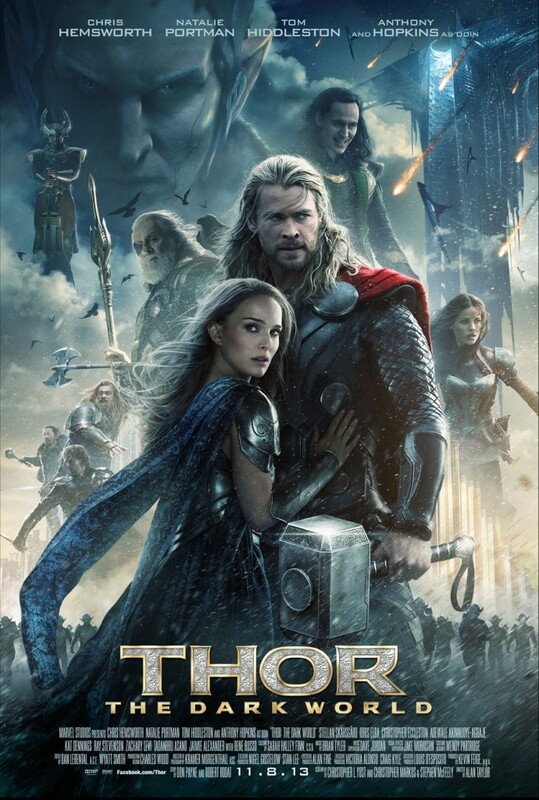 This is of coarse being done to promote Marvel’s next big picture and sequel to 2011’s THOR, Thor: The Dark World. Unlike the Hall of Armor, Thor will be an actual character where you can interact, talk to and take a photograph with. No location has been announced at this time, but it’s safe to assume it will be located in 1 of 2 places. Inside of Innoventions, or at the Festival of Fools arena, but time will tell. Disney made the announcement today via the Disney Parks Blog. In celebration of “Thor: The Dark World” coming to theaters November 8, guests at Disneyland park will be able to visit Asgard this fall and come face-to-face with the Mighty Avenger, Thor. This summer at Disneyland park, Iron Man Tech Presented by Stark Industries has given us a close-up look at Tony Stark’s Hall of Armor and an opportunity to virtually “suit up” in the Mark 42 armor featured in the blockbuster film, “Iron Man 3.” And we’ve recently learned Captain America will be appearing at Avengers Academy on the reimagined Disney Magic. Soon, we’ll have a chance to meet yet another super hero. Be sure to check back here on the Disney Parks Blog next month, as we share more details about how you’ll be able to visit with Thor at Disneyland park. Expect more news early next month when Disney releases more information. For the time being, be sure to follow us on twitter @BehindThrills for the latest.